Summary from Goodreads: A twisty story about love, loss, and lies, this contemporary oceanside adventure is tinged with a touch of dark magic as it follows seventeen-year-old Wendy Darling on a search for her missing surfer brothers. Wendy’s journey leads her to a mysterious hidden cove inhabited by a tribe of young renegade surfers, most of them runaways like her brothers. Wendy is instantly drawn to the cove’s charismatic leader, Pete, but her search also points her toward Pete's nemesis, the drug-dealing Jas. Enigmatic, dangerous, and handsome, Jas pulls Wendy in even as she's falling hard for Pete. 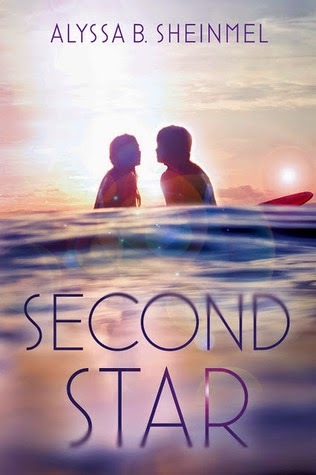 A radical reinvention of a classic, Second Star is an irresistible summer romance about two young men who have yet to grow up--and the troubled beauty trapped between them. This book is hard to review because I really loved it at first - probably the first three quarters of the book, I was really enjoying it. And then it just got sort of, well, weird. I still enjoyed it, but I couldn't quite love it anymore. The story is a loose modern interpretation of Peter Pan. It follows Wendy, who can't accept that her brothers were killed in a surfing accident, since their bodies were never found. She goes on a quest to find them and ends up in a tiny little surf community made up mostly of runaways and strays, led by the captivating Pete. Wendy is captivated by Pete (much to Belle's dismay). 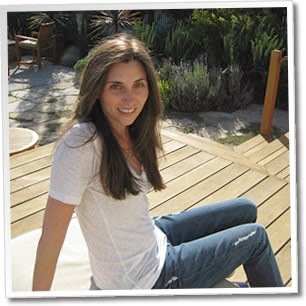 But, on the other side of the cove, lives Jas, a mysterious drug dealer who also captures Wendy's attention. Most importantly, though, Wendy wants to find her brothers, and that is what drives her, even when things start to get really complicated. Jas. I loved the first half of this book, but once Wendy started getting involved with drug dealer Jas, I was a little put off. It seemed that Jas was supposed to be Captain Hook, the bad guy - he gets people hooked on drugs, so perhaps there was supposed to be a play on the name there? On the one hand, Sheinmel made Jas really likable, sweet and thoughtful and loyal - but he's a drug dealer. Um, that's a pretty big flaw. The bad boy with a heart of gold I can usually handle, but it seemed like we were just supposed to accept that Jas was really a good guy who just "ended up" dealing drugs. I actually found myself liking Jas - Sheinmel did a good job at that - but I kept thinking that I shouldn't be liking him. Blurred reality. You're never quite sure what's real and what's not in this book. There are times when you're sure it's all real and times when you wonder if it's maybe magic or if Wendy is delusional or if she's just tripping. When Wendy tries to tell her best friend and family about Pete and the cove, everyone immediately insists that none of it happened (which I couldn't exactly figure out why they all jumped directly to that conclusion). Wendy doesn't always know what to believe and, well, neither do I. Is it real, magic, hallucination? Um, you tell me! Did this bug me? A little. But then, I think it kind of goes along with the Peter Pan story itself - is it just a fantastical tale or did it all really happen? You just have to choose to believe, right? So, it's kind of fitting. The writing. I thought that the writing in this book was really engaging and often beautiful. This added to the magical feeling of the book and I was definitely drawn into the story. Surfing. This was somehow the second surfing book that I've read recently. If you'd asked me if I liked surfing a few weeks ago, I'd probably shrug and say, "Not really." So, I was surprised that I liked the surfing side of both books. I thought that the surf culture was a great modern counterpart to Neverland - the boys who don't ever want to grow up. And I loved the comparisons of surfing to flying. I thought it worked. Peter Pan. I found myself fascinated with the ties to the original Peter Pan story. I really loved trying to figure out how this book matched up (or didn't) with the original tale and making little comparisons. Some things were easy. Pete was a good Pan - the perpetually happy boy who takes care of his little band of lost boys (the other surfers). Belle was a good modernization of Tinkerbell. She wasn't always likable, but then, neither was Tink - she's sometimes jealous and petty, but she's good deep down. I didn't really quite get how Jas was Hook besides the fact that he was Pete's nemesis and kind of a bad boy, but I liked that the drug was called Fairy Dust - quite fun! Like I already said, I thought that the cove was a good modernization of Neverland and I liked that there was always kind of a magical quality to the story (but it never went completely toward magic, like I expected it to). There were lots of other little comparisons too and I really enjoyed them. So, in the end, I liked this book, but there were just some things that kept me from loving it. I'd still recommend it to fans of Peter Pan (as long as you don't mind definite twists to the original story). I think you'll be intrigued. I was. 3.5/5 stars. I love anything to do with Peter Pan and find modern twists on classic stories really interesting. Can't wait to read this! Then this is definitely a book you should read! I love Peter Pan! (Do you watch Once Upon A Time? Because I kind of remember that show from this book) This book sounds so interesting and I'm surprised there's not much hype about it. Great review and I hope to pick this up soon! Oooh! I love Once Upon a Time! Funny, you're the second one who's mentioned Once Upon a Time. I love that show and the Peter Pan element in it! I didn't realize this was a Peter Pan retelling, I am kinda interested. The whole Jas situation seems thumbs down though! Yeah, it frustrated me because I really liked Jas, but I shouldn't have! I used to adore Peter Pan as a kid. I have never seen a YA retelling (even loosely) based on it. I will have to check this out. When I see things in a book that I am not sure are real I find it quite frustrating. But then like you say, its an occupational hazard with Peter Pan. Peter Pan is a favorite for lots of people!! You should definitely check this one out! Siblings dying is usually an automatic veto for me (unless it's HUGE and the book is good enough to be worth the agony), and I think this might be one. I don't know. I'll have to check out the sample chapters and see how I feel about the writing style. But I don't think I would have considered it before, so great review! Yeah, you should at least check it out if it sounds like something you'd like! Oh cool, I love retellings and Peter Pan is such a great story to rethink! I hate it when I love a book and then the ending just feels disjointed or like something is missing - it's always hard to decide whether you like the whole book or not. Yes, that made this one hard to review.